Oakford Firewood and Mulch is proud to supply the best commercial mulch Perth-wide. Our mulch is one hundred percent natural and organic, produced from clean forest waste. Our mulch contains zero percent tip waste. Mulch is ideal for water conservation in your garden. It prevents the top layers of soil from drying out, and can reduce watering requirements by up to sixty percent. Mulching keeps the temperature of the soil constant, maximising nutrient content in the soil and adding organic matter which enhances the health of plants. It also prevents the germination and growth of weeds. The addition of mulch to soil causes fungi and soil bacteria to decompose and release nutrients into the soil. It works as an organic, slow release fertiliser. We supply a choice of composted jungle mulch or rich dark garden mulch. Jungle Mulch is coarse mulch blend made from uncrushed forest bark, green waste, screened peat, and composted bio-solids. It is perfect for use in windy locations and beach areas. 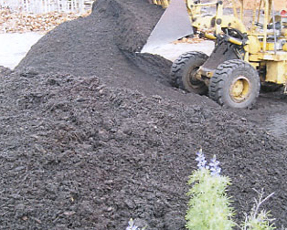 Rich Dark Garden Mulch is all-purpose mulch ideal for use in all manner of gardens and for commercial purposes. It maximises water retention in the garden and protects the soil. 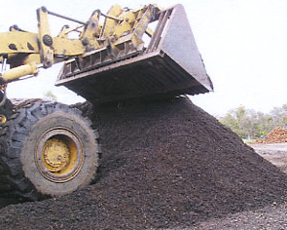 Made from crushed tree waste, and screened peat, it is a popular mulch product. Mulch delivery Perth-wide or pickup options available: we are the superior choice for all of your mulch needs. Our prices remain remarkably competitive because we bring top quality, cheap mulch in Perth directly to you from the source – there are no middle men. Large orders or small, we welcome your business.